Discovering Monterey's historic gardens– our "best kept secret" - will come as a beautiful surprise! Due to Monterey's mild climate, flowers can be found blooming much of the year. 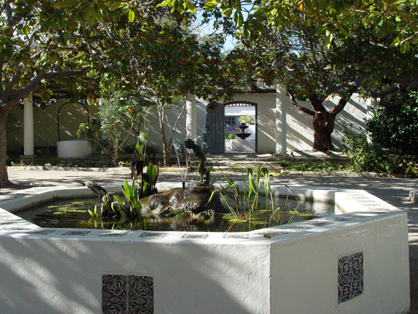 Some of the gardens contain fountains you can make a wish in. Others have arbors and quaint walkways bordered by abalone shells or wine bottles. One site even has whalebone for a walkway! The gardens come in sizes from a few planters to a few acres. Some are hidden by walls or are tucked away off the beaten path. 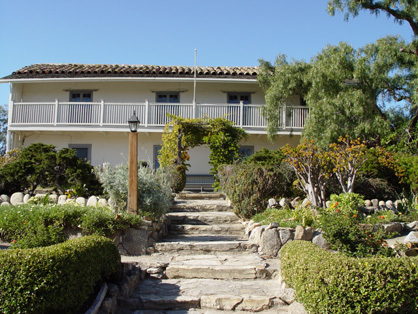 The historic gardens of Monterey are not called "Monterey's Best Kept Secret" for nothing! Gardens are open every day from 9:00 a.m. to 4 p.m. during winter months. Beginning May 1, the gardens are open to the public from 9:00 AM to 5:00 PM at no charge, and do not require reservations to meander through on your own. We invite you to explore and discover your own "Secret Garden." The First Theatre borders a garden that represents a planting theme popular in the 1920s and 30s in Monterey. Huge Monterey Cypress trees frame the succulents growing throughout the garden. Located on the corner of Pacific and Scott Streets. Planted with herb lovers in mind, these plants educate your senses as to what various herbs look like before they are dried and packaged. 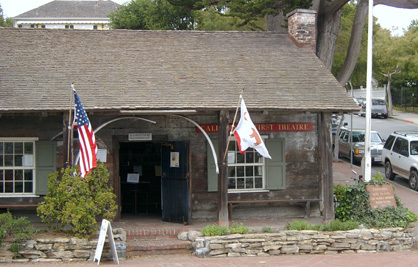 Located on the corner of Pacific and Scott Streets across from California's First Theatre. 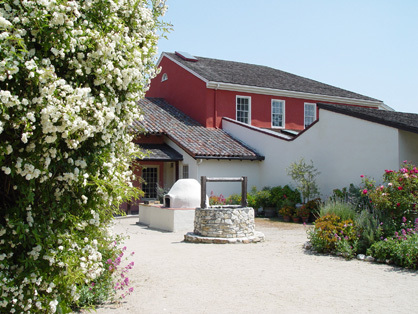 Located behind tall adobe walls, this garden best represents the methods and plantings available in the 1860s in California. Even though the garden is less than 30 years old, it tells the true story of Old Monterey before piped water, pesticides, and modern tools came into existence. Also found here are barns, picnic tables and an opportunity for quiet reflection on the past. Located at the corner of Munras Avenue and Polk Street. Situated on the grounds of the oldest government building in California is a small collection of cactus that were gathered from areas of the southwest in the 1920s. This drought-resistant garden has excellent views of the Monterey Harbor. Located in Custom House Plaza. The Larkin House Garden reflects back to Larkin's New England heritage but was developed in the 1920-50s by Larkin's granddaughter. Stone walls isolate the hustle and bustle of the city, leaving a quiet, peaceful garden. An old well, arbor, and lush vegetation add to this lovely garden. Located between Calle Principal and Pacific at Jefferson Street. Enjoy! Planted for the sake of the senses, one can find color, taste, scent, touch and just plain beauty in this special garden. Developed in the 1920s and 30s, the garden reflects on a romanticized version of what people believed early Mexican gardens looked like. The use of trees, plantings and meandering walkways make this special garden a very quiet and restful experience. One can imagine seeing Robert Louis Stevenson looking out his bedroom in the distance. Located at 530 Houston Street. Tucked away from the maddening crowd, this lovely garden is popular for its roses, Australian Tea Tree and winding brick walkways. The garden is a tribute to the past but is surrounded by Heritage Harbor. A challenge to find....but it is worth the time. Located in the Heritage Harbor off Pacific Street. Most other public buildings in Monterey have their own special gardens that you can visit and enjoy. During special occasions, private gardens are opened for public viewing as well.